The flavors of this week's assignment for French Fridays with Dorie weren't foreign to me. Garam Masala, turmeric and ginger are pantry staples in every North Indian household and it was good to be in familiar domains for a change. 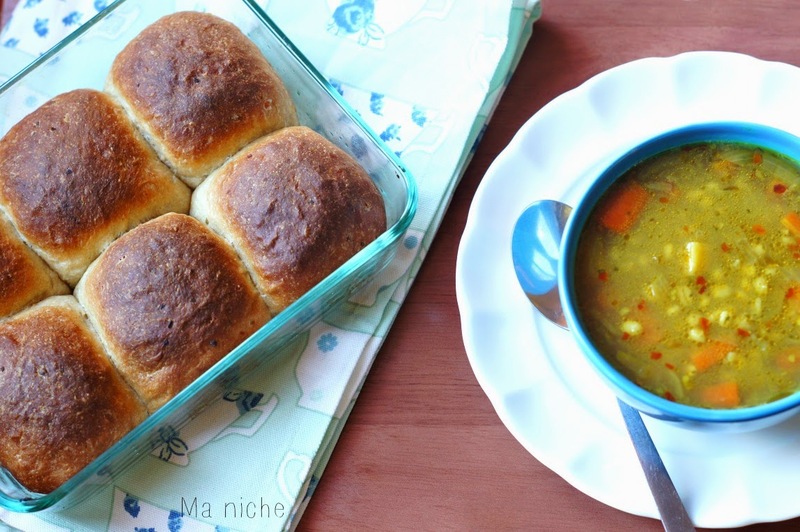 This soup was quite simple to prepare. All we had to do was to saute some onions, garlic and ginger in one tablespoon of olive oil, cover and cook chopped carrots and parsnips in it, then stir in the barley, add chicken broth or water, season with salt and red pepper and simmer the soup until the barley was completely cooked. From start to finish it took me about an hour to cook the soup. Considering that the grain in the soup was barley, I was a bit apprehensive about my husbands reaction towards it. He however did not seem to mind it at all. He simply added a dollop of yogurt to his bowl and quickly finished it. Seeing him I too added some yogurt to my bowl and later felt like it was the missing piece from the recipe. The yogurt helped in balancing out the heat from the ginger and garam masala and also added some tanginess to it. 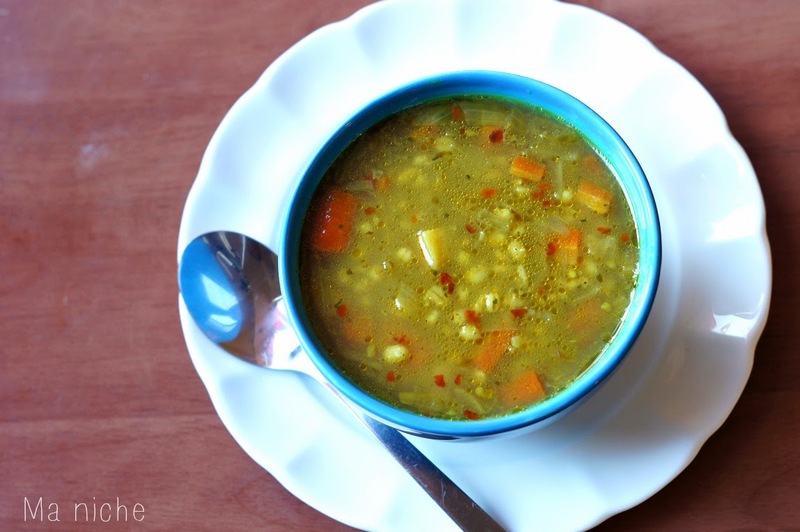 Overall we liked the Vegetable Barley Soup and I will probably make it again. 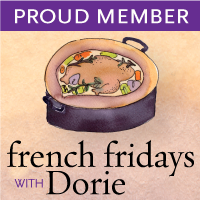 Visit French Fridays with Dorie to know what the other members thought about the Soup. You can find the original recipe here For more such delicious recipes order your copies of Around my French Table and join the Doristas in this tasty adventure. Your soup looks amazing! I currently don't have yogurt in my fridge otherwise I will follow suit! Those home made buns looks delish too! The yoghurt sounds like a nice addition. Yogurt was a very nice addition. Looks tasty! I love the idea of adding a dollop of yogurt...perfect! Yogurt is a great idea. I think your husband hit upon something. Next time I make this I'll try yogurt. definitely try the yogurt. Have a great weekend. Thanks for the yogurt tip! I can't wait to catch up on this recipe. Mmmm...soup. Ah revelation... yogurt. It needed a protein. Glad you liked this soup. The rolls look really good too. I like the addition of the yogurt! I made toast to go with it for myself, but I bet those rolls were even better. Oh, Tanusree, it has taken me so long to figure out how to get to the comment box. What is wrong with me. At any rate, I found it at last. Yogurt was a wonderful addition. For many of us, these spices and smells and flavors are unfamiliar. For your family, not so much. Glad you enjoyed it as much as most of us "newbies" did.